Planning for the future is not over rated. In Napa and our surrounding counties we don't wonder not if - but when we will have another earthquake. Planning for that event is critical to surviving it well. Make an emergency plan with your family today and check your home to see what might be improved to help it survive as with as little damage as possible. We are doing extensive work with local home owners to get their homes retrofitted for the next earthquake. There are a variety of small jobs we can do for you like strapping your water heater to the wall with a easy to use kit from the hardware store. More technical retrofit project like bolting your home to it's foundation and bracing the cripple wall will require a qualified professional. Call us today at: 707-257-2222! At Alpine we always try to get it right the first time. It saves money, time and frustration. One of the lessons learned over time is that using better quality materials from the start pays off for years to come. An example of that is fasteners used in fencing. The age of the staple gun is here to stay. However, knowing when to use it and when not to use it takes knowledge and experience. You might think the job will get done faster and cost less by using one but this photo is an example of how it causes wasted time and money when the work has to be redone. Our Ask Al question was right on track this month about just such a situation. 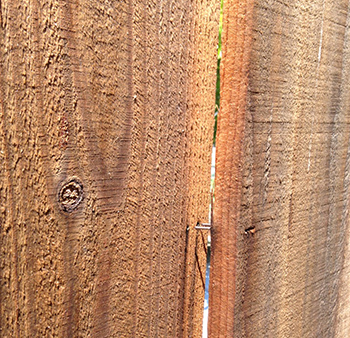 When using the wrong fasteners your fence can start coming apart and/or show big "tear drop" stains as the metal starts rusting. When you call us we will give you a quote on a fence with the quality products you want and deserve. Give us a call at: 707-257-2222 now. The recent fires in Napa, Sonoma and other nearby counties have been devastating. We are thankful so many of our friends and family are safe and sound. Some of our loved ones lost structures that can be replaced. For those in our community who were not so lucky our hearts go out to them. 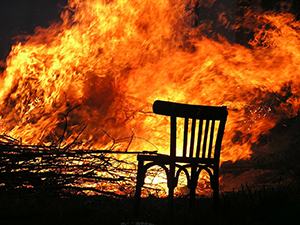 The physical effects of the fire will take years to erase. One thing I know from experience is that it takes time for the physiological effects to heal as well. Whether or not you suffered a personal or physical loss give yourself time to heal from the emotional trauma of this event that we feel as a community. Be assured our prayers are with you and your families and that we wish you all the best. The warm days of fall are perfect to work with exterior paint before the cold weather sets in. If you don’t need an entire paint job but want to prolong the life of your siding and trim consider having us do a touch up. We had a wet winter last year here in the Napa Valley. Having a professional look over your home to make sure you are ready for another one is a good idea. We can check caulking for windows, weather stripping, gutters and downspouts. Take advantage of these warm fall days to get your home ready for a comfortable winter later. Make that appointment today by calling: 707-257-2222 to find out what your home needs - to be Weather Wise. Consider turning the focus of your indoor entertaining for fall and beyond to a beverage center complete with a mini kitchen including the sink! The smaller dishwashers, wine coolers, refrigerators and other appliances fit right in so you have everything at hand to enjoy your guest without having to run to the kitchen for anything. Do you want the Irish Pub look or a sleek modern design? Glasses and bottles sparkle under energy efficient fixtures. Do you want some comfy seating to relax on or will it be a work station where you fix and deliver the tasty treats to your guest? Napa Valley is the perfect place for a wine bar but if it suits your lifestyle better how about a coffee bar? The key is customizing your home so you and your guest can kick back and enjoy. Give us a call to make an appointment today at: 707-257-2222 and let us help you fit your style! Who knew we would get this old this fast! As they say, "Time flies when you're having fun". Now here we are the baby boomers looking at retirement and wondering if staying in our home of many years is the best option. Walk-in showers with a seat, hand rails, high rise toilets, lower mirrors. A wall oven at a lower height, D shaped drawer pulls, pull out drawers in cabinets. Inside and out. Well lighted walkways, hallways, closets, stairs. Hand rails and ramps. Zero-step entrances can be quite elegant or utilitarian. Adding a master suite to the ground floor with safety features built in. Give us a call at: 707-257-2222 and we can evaluate your needs - before you need it. That way careful planning will make the transformation aesthetically pleasing. Everyone is enjoying the outdoors this time of year in the Napa Valley. We are blessed with beautiful hot summers through fall in the day and warm evenings. Take advantage of it with a new deck. Adding one around the pool or walkways to and from it will keep your home and pool a lot cleaner. Commercial space is enhanced when a business owner can accommodate customers with gracious outdoor walkways and decking. A lot of my customers like the TimberTech® products for decking and stairs. It has a nice clean look and will last a long time. We also use redwood and other natural products as well depending on the application and desired results. Give us a call to see which products work for your budget and lifestyle. 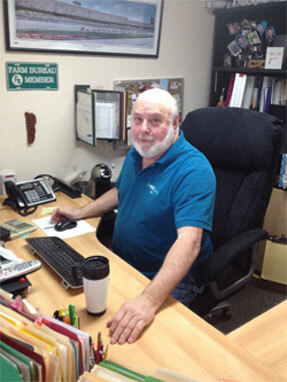 An Alpine Construction estimator will be happy to give you a personal estimate for your home or business. So many people hesitate to use a lot of color when choosing new paint colors. I found a great article on color and wanted to share it with you. Check it out at this link or click the photo to the left. We use only the best products to get the excelent resuts we demand - every time. Modern paint drys fast and does not have the toxic odors you may remember from times past. 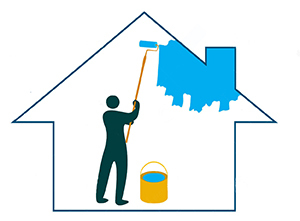 Our expert painters will help you choose your colors too. If you are looking for attention to detail be assured that my crew will keep your home clean and tidy thoughout the entire process. A new Vanity? Not just for looks! 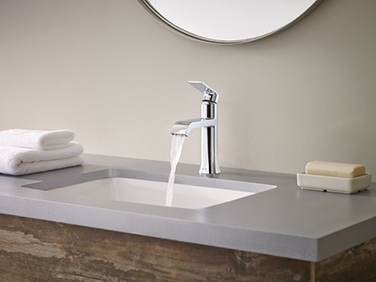 A new vanity can be a smart choice for your next remodel in more ways than one. The good looks will be pleasing to look at and the improved efficiency of a roomy cabinet will help with bathroom clutter. A well thought out bathroom remodel should also add to the resale value of your home. This link is to an article for a variety of home remodel ideas: 20 Home Design Trends for 2017. Modern vanity choices are available in an amazing variety of choices. We see customers choosing an antique or vintage piece of furniture to add style and function to their bath. Sleek tile and marble for more modern applications are also in high demand as well as custom tile applications for accent. Call us or send me an email to set up an appointment to make your ideas a reality. The Home Office - Is it for You? 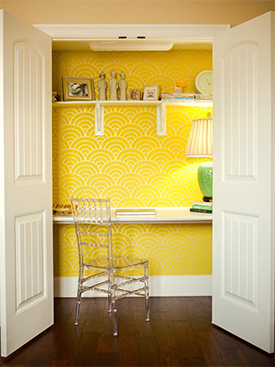 Whether you have a closet or a whole room, how you design your home office can determine how well it meets your needs. A pleasant place to work that is well thought out will allow you to do your best work in the shortest amount of time. Are you wired or wireless for your printer, modem and other peripherals? Do you have a window you want to face or is it too distracting? A great window treatment may be the answer. How about wiring for a sound system? Some people work better with some background music and others may want some insulation for quiet. Do you have a lot of books, files, need a work counter for mailing items? Try this link for some ideas: 10 Tips for Home Office. Give us a call or email to set up an appointment to evaluate your options. 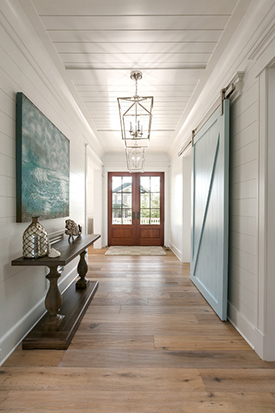 Closing or opening the barn door is just what a lot of home owners are doing these days as they move from one room to another or open up a hidden wine bar or laundry room. This attractive remodel idea is catching on in some of the best homes. Sliding doors do not need extra room to open and close like a traditional door. 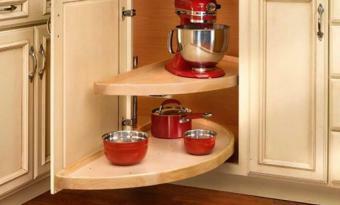 They can add privacy to a room or closet as well as divide off an specific area. Styles vary from rustic to uptown, and can be solid, opaque, and see through.Here are some great ideas. Give Alpine Construction a call today at:707-257-2222 to get your appointment for an estimate to update your home. 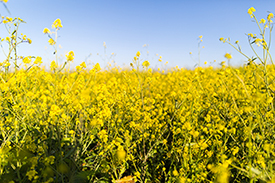 Spring is around the corner and Napa Valley is turning yellow with fields of mustard in the vinyards. The rain which brings us a promise of a great harvest has caused our community a lot of clean up. This month is a good time to give some thought to getting your home ready for the busy growing season. You will want to be enjoying your yard by refreshing your flower beds and getting your outdoor kitchen ready for business! So... before the yard takes all of your attention give some thought to how the inside fared during the winter. Freshening up the inside this month with new paint is great option for doing just that. The new paints we use are quick drying and come in some great colors. Give Alpine Construction a call today at:707-257-2222 and and we will get you an appointment to help you choose some colors and plan the project. The rumor is clean lines and natural colors are the choice for your home remodel in 2017. Home owners are putting in softer colors and borrowing from nature to make a pleasing environment to come home to. Check out this link to see what they are saying about neutral palettes as a choice for remodel colors The Neutral Palette. I like the point they make about being careful not to end up in a "lifeless sea of beige". Give us a call or email to set up an appointment to help you choose the right colors and products as well as give you a personal estimate.
" Whats the big deal with strapping a hot water heater to the wall? Why are the building codes so strict about it?" It may seem like a small thing but when you think about 30 or more gallons of hot water flying around a room in an earthquake it makes sense to get it done right. Also the broken gas pipe - or a broken wire that could be 220 or more, should yours be electric - is a source for fire. Many homes still have hot water heaters located in an area of the home that can be very dangerous, like the kitchen and bathrooms. Even in a garage it could be a disaster and cause a lot of damage. Our workers will make sure your hot water heater is properly supported, the bolts go into a stud (not just the sheetrock) overflow is correctly addressed and the gas or electric is properly hooked up. Here is some quick info on it: Disaster Safty Info. Give us a call and give yourself lasting peace of mind.
" My neighbor and I are planning to put up a good neighbor fence by splitting the cost. He wants to go on the cheap with the material and installer. I think it is a waste of money to do that. What do you suggest?" You are right about needing to be firm about the quality of the materials and getting an experienced installer as well. Low quality boards will, among other things, warp and the wrong choice of fasteners will allow the fence to fall apart - sooner than later. Also using a fly-by-night crew rather than a licensed contractor with local references can create a whole different set of troubles. Like paying for it twice when they disappear with your money and/or materials! Have him check out our fence work on my website portfolio page by clicking on the Outdoor Link. Give us a call for an estimate and I am sure he will be pleased to see how doing it right is not expensive.
" We are so thankful that we did not lose our home in the recent Napa fire. But we have a lot of ash clean up. Any suggestions? " I am so glad you were spared in the devastation surrounding us. You are right however to realize that you still face a danger from the after effects of this fire. The soot and ash from these fires carry with it many harmful chemicals. You will not want to leave it on your home, car or outdoor equipment. At the same time, you don't want to breath it in and/or get it on your skin. I think this site has some good information that may help: Safe Cleanup of Fire Ash.
" I like the idea of getting my outdoor paint freshened up. How do you get it to match for the touch up? " There are a few ways to do it. First check to see if you have any old cans of the paint around. Our painter will look at it to see if it still matches your home and have more made if it does. If not we can take samples from your home and get the paint store to match it. Our modern paints make it easier to match. We can use a different brand of paint than was previously use if need be. There are even a few apps for it for you techies. Here are a few: Paint Apps.
" 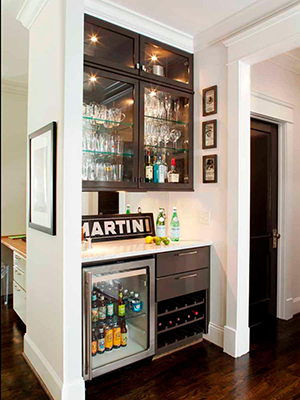 The wine bar would be a great addition to our home. We just don't have room downstairs for it. Do you think it can go upstairs? " I am seeing these put anywhere. Inside or outside and upstairs often works great. Do you have a TV room upstairs? Just add a popcorn machine and you are good to go! Also many homes have large landings upstairs with balconies to enjoy the view. I have seen that work nicely. Getting creative is what it is all about. How about two mini bars? One upstairs and one outside? Your guest will love it.
" I want to do some safety improvements for my Mom without getting that 'hospital look'. What do you suggest? " The materials used as well as color palette can make a big difference in the final result. Fist we can identify her individual needs, prioritize them within your budget and then we get it done. Here is a good article to look at for some ideas: Aging Care.
" I love the TimberTech® decking material. I want to make a real design statement. What colors can I get it in? " Their web site has a lot of ideas too. The gray color line is a popular look for that barn or beach house style. 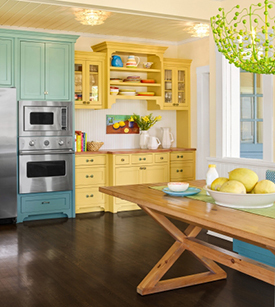 Check out their creative color combinations used for accents and trim.
" I love the look of the open kitchens these days. Can I remove the walls between the kitchen and a pantry to get that big open look? " Well, that depends on the structure of the walls. Often we find interior walls are actualy important load bearing walls and need special attention to be removed. There is almost always a way to get it done though. We can take a look at it and see if it can be torn out or needs some engineering to keep the integrity of your home.
" 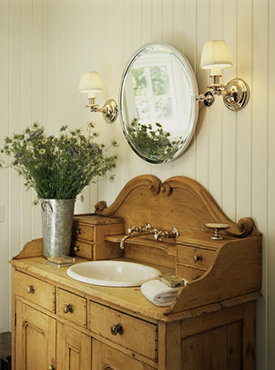 What do I need to know to choose a vintage piece of furniture for a bathroom vanity? " " Can I deduct the construction of a home office from my taxes? " That depends - I know that is not your favorite answer but there are many variables. Quoting from Turbo Tax "You must use a portion of your home exclusively and regularly for your business." So, check it out and make sure you talk it over with your CPA. The savings can be considerable. "Wondering if I need new hardware on my front & back door because the key is sticking? " Most likly you only need to use some WD 40 or other spray to oil the mechanism. Spray the key and turn the lock a few times also. While your at it spray the hinges too keep the them from binding. If you still have trouble it may need to be disassembled and cleaned and if that doesn't work it might be time for a new door set. "The sun finally came out for a minute and I can see I need to do some spring cleaning! Where do I start?" Roof, Gutters & Downspout - yep I know you did it in the fall but now all the leaves are down and you need to do it again. Chimney flues may be clogged and unsafe after winter fires. Best to get this done too. Heater filters have done their work and need to be replaced now. And just for fun here is a list for the house keeper: range hood filter, degrease kitchen, cabinets, stove top, ceiling fan blades, clothes dryer vent pipe (fire hazard), bath vent fan, refrigerator door gasket. "What is trending for 2017? " Curb Appeal - garage doors and front doors. Adding a half or full bath.